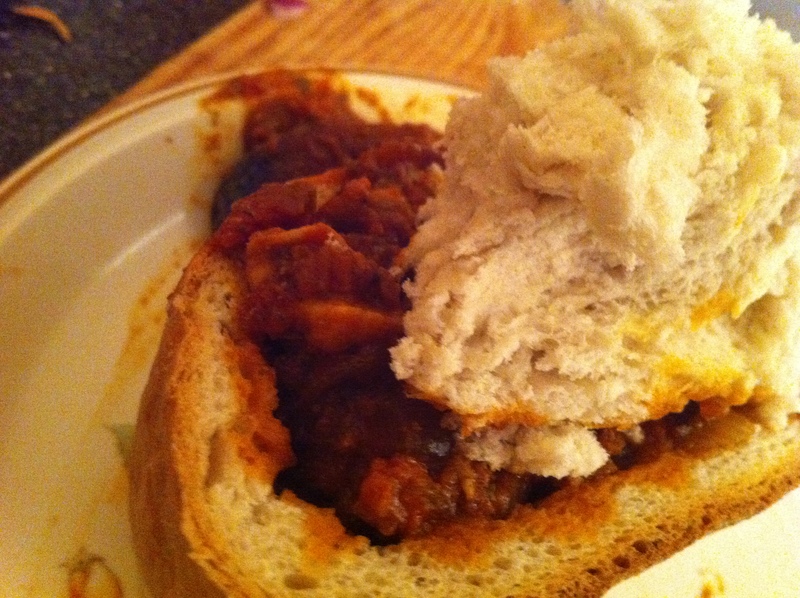 It’s simple, it’s rustic and it’s tasty… it’s a bunny chow! You’ll find someone selling them on every street corner in Durban, South Africa. Ideal for that steamy tropical climate, yet also great comfort food as the winter approaches in London. Cut off the bottom of a loaf, scoop out the white stuff leaving a crust shell. Fill with hot chicken curry (don’t forget the sauce now), settle down and use the bread you scooped out to mop up and eat your curry. No cutlery permitted. Durbanite and bunny chow lover Richard says bunnies are best eaten sitting cross-legged while staring at the Indian Ocean with a bottle of ice-cold Coke by your side.